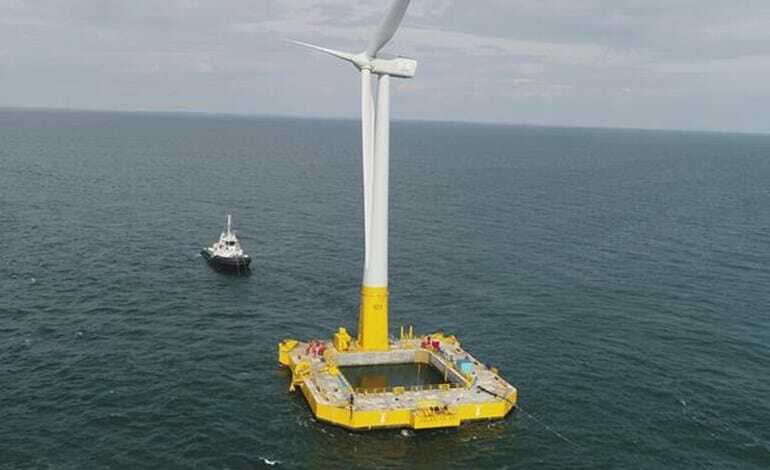 PARIS - Floating offshore wind turbine Floatgen, the first offshore wind turbine installed off the French coast, exported its first KWh to the electricity grid. This announcement is a highly symbolic step for the partners involved in this project. This wind turbine is the first operational unit of the floating foundation concept patented by Ideol and built in concrete by Bouygues Travaux Publics. A second unit of the Ideol foundation will soon be operational off Japan. For Centrale Nantes, this is the first production tool and the first injection of electricity into its export cable at its SEM-REV test site dedicated to marine renewable energies (third installation after tests on acoustic sensors and cable weights).